Hate your CPAP? There IS a Comfortable Solution for Your Sleep Apnea! 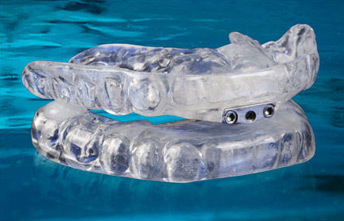 Bay Area Denture and Surgery Center offers you a patient-friendly solution called The Thornton Adjustable Positioner 3, a device that is worn over your teeth much like a tooth whitening tray, and is much more comfortable than your noisy CPAP machine, hose and mask. It is not intrusive to your partner’s rest, and allows you to sleep in many positions. The Thornton Adjustable Positioner 3 (TAP® 3) is a mandibular advancement device for the treatment of snoring and sleep apnea. Developed with advanced dental technology, the TAP 3 improves breathing and eliminates snoring in over 95% of all patients. The TAP 3 effectively treats sleep apnea and reduces the impact of associated health risks without the need for surgery, CPAP, or medication. 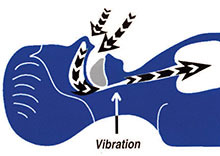 The TAP 3 is intended to reduce or alleviate nighttime snoring and obstructive sleep apnea (OSA). The appliance is for adult patients to be used when sleeping at home or in sleep laboratories and is for single-patient use. The device is contraindicated for patients with loose teeth, loose dental work, dentures, or other oral conditions which would be adversely affected by wearing dental appliances. In addition, the appliance is contraindicated for patients who have central sleep apnea, have severe respiratory disorders, or are under 18 years of age. 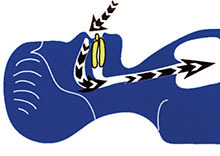 The TAP holds the lower jaw in a forward position so that it does not shift nor fall open during the night. This prevents the airway from collapsing. The TAP is the only mandibular advancement device that can be adjusted by the patient or Dr. Van Maren while in the mouth. Most patients experience relief the very first night they wear their TAP. Although it may take up to a week to get used to wearing a TAP appliance, this is a small hurdle for patients. Nine in ten patients wear the device all night, every night - making the TAP a highly effective solution for both snoring and sleep apnea. Normal jaw position, airway open. 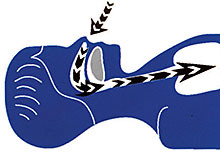 Relaxed jaw position causes tongue and throat tissue to collapse and narrows the airway. The TAP appliance maintains forward position and keeps the airway open.